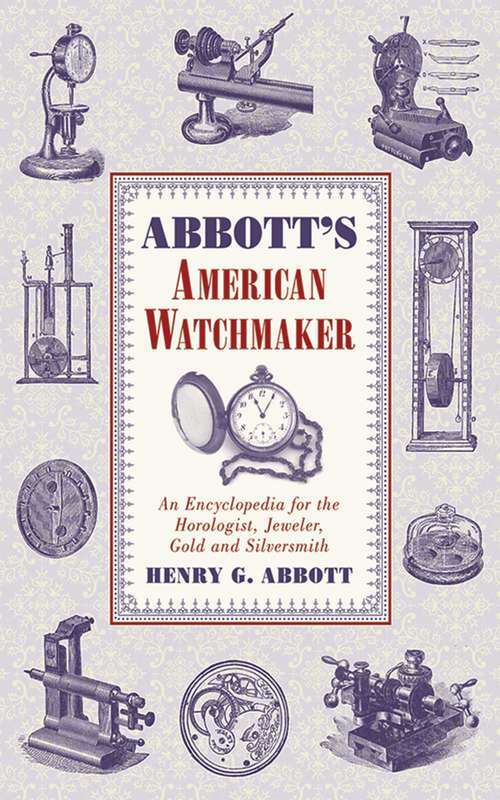 Back in all its original prestige Abbott's American Watchmaker and Jeweler remains the ultimate resource for watchmaking and jewelry craftsmanship. No aspect of the trade goes uncovered in this distinctly American approach to these ancient processes, organized to be the perfect introduction to learning the tools, parts, and their uses, handed down for many generations.Here you'll find hundreds of drawings, descriptions, and diagrams of many kinds of escapements, complete directions for making staffs, techniques for cleansing, pickling, and polishing all kinds of metals, a full list of necessary terms, and much more.For years Abbott revised this unmatched work, consulting the best authorities to provide the most accurate and comprehensive text. Here is the final reference, straight from an era of dignified professionals and serious craftsmen.